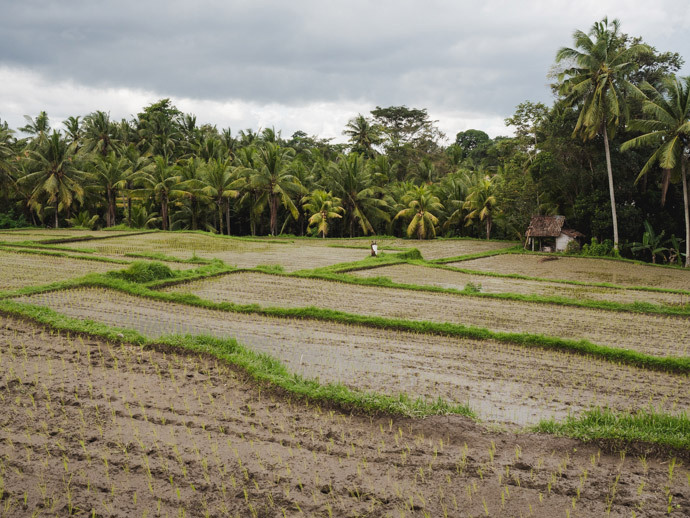 Ubud is one of our favourite places in Bali. If I could sum up Ubud in three words I would say culture, yoga and healthy food, but really there is so much more. Touristy yes, but the culture and charm are still there if you take the time to immerse yourself. This is one of the reasons that I don’t usually advocate taking a day trip to Ubud, because the real charm is found in the morning and evening when you can really explore. 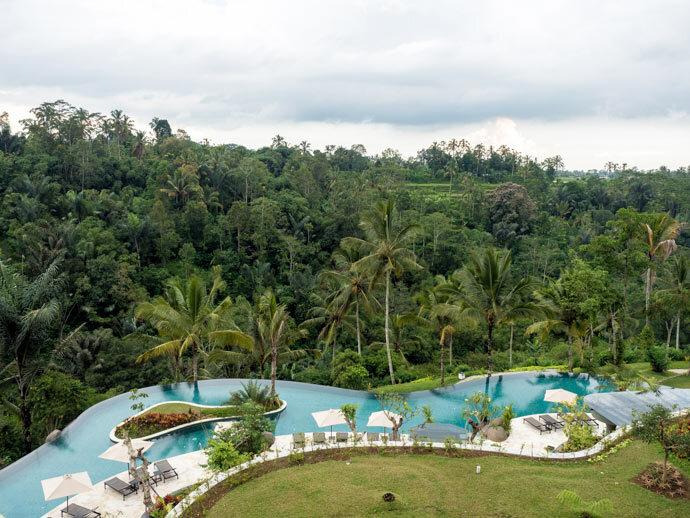 We’ve already touched on lots about Ubud on the blog, but we thought we’d put together a little mini guide to Ubud so you can get a quick overview of some of our favourite bits… (and some exciting news below). 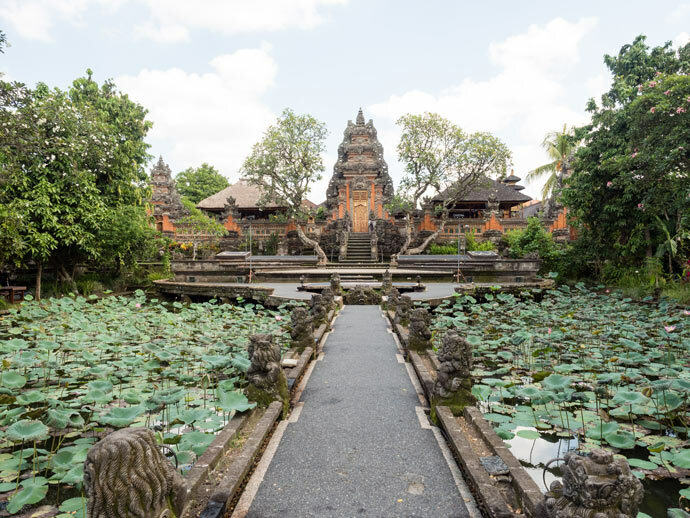 See our Ubud Field Guide to plan your best trip to Bali. 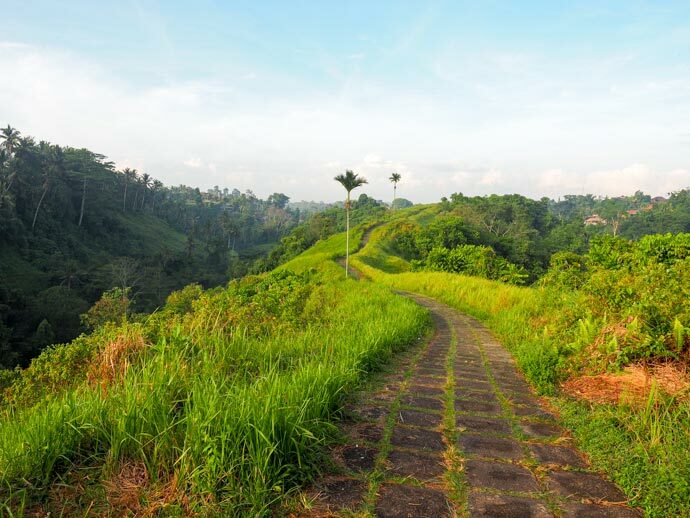 One of our absolute favourite things to do in Ubud is the Campuhan Ridge Walk. Easily accessible from the village itself, it has beautiful views and is perfect in the early morning or evening. Ubud is an absolute hub of Yoga. If you’ve ever wanted to try yoga, or already love it, this is the perfect place. We loved our small class at Bodyworks, Yoga Barn have a huge following and we’ve heard good things about Radiantly Alive. 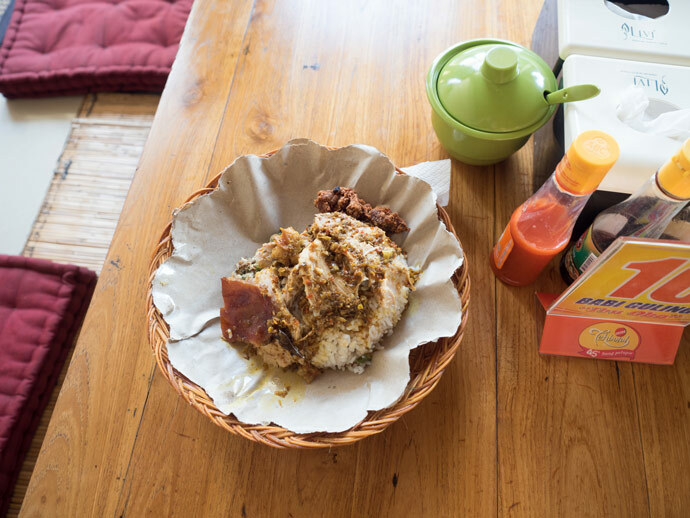 Eating at Ibu Oka is almost like a rite of passage in Ubud. Known for their suckling pig (Babi Guling), a traditional Balinese dish, it’s a must try for lunch at one of their three establishments. 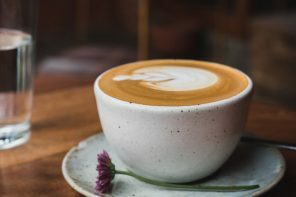 The restaurants themselves have lost a bit of their rustic charm and modernised over the years, but if you go to the main one (Jalan Suweta) make sure to go upstairs for a more traditional setting. Locavore is unlike any other restaurant in Bali and if you love food, this is one you should book in advance. All the food is from sustainably sourced local ingredients. 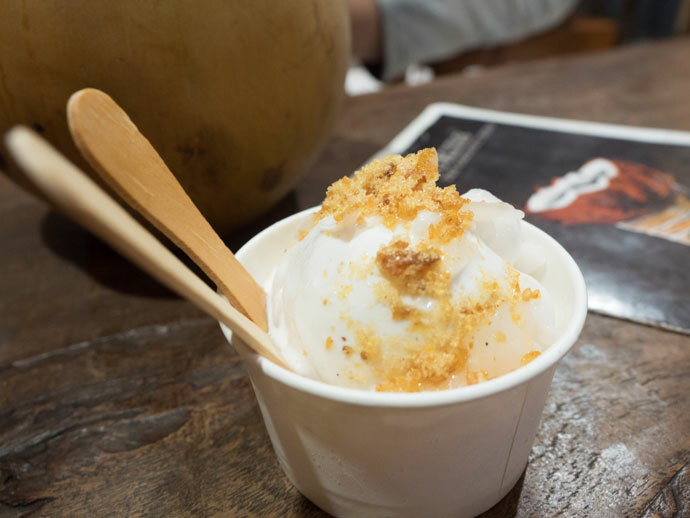 And we haven’t forgotten dessert… for the most delicious coconut ice cream head to Tukies. Once I tried this they couldn’t keep me away. You really are spoilt for choice in Ubud (and Bali for that matter) when it comes to accommodation. Two of our favourites are Alila Ubud and Padma Resort Ubud. 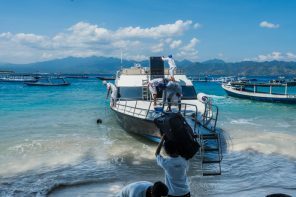 Both are a little way out of the centre of Ubud, but provide complimentary shuttles. 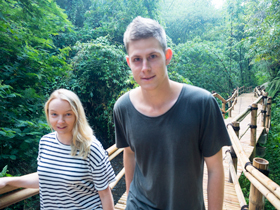 It’s a great way to enjoy the beautiful nature that surrounds Ubud, relax and still get to explore the village. 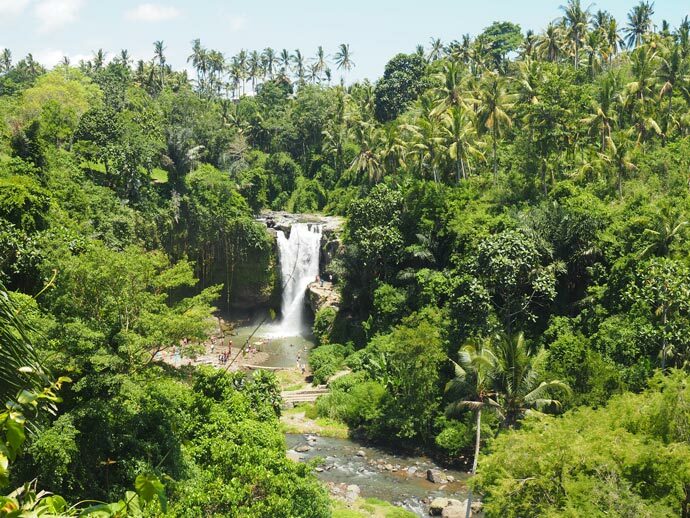 Want to know more about Ubud? 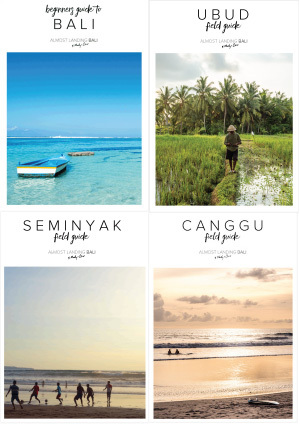 Take a look at our Ubud Field Guide ebook here. 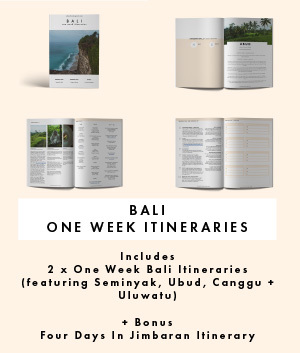 Our Ubud Field Guide is everything you need to hit the ground running, including our favourite food, culture, shops, things to see + do, day trips, walks and short walking itineraries. We’ve also put all of our favourites onto our own Ubud Map so you can literally just take it out with you and no research or planning is required. Hi – I’m much older than you two but I am headed to Bali for the entire month of March and really looking forward to seeing and doing as much as I possibly can. Is your flied guide already published and will be it sent as a e-book? Does it cover medium to lower housing options? 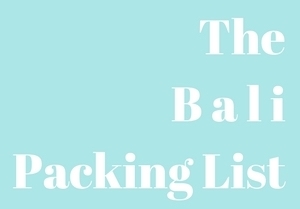 It’s an eBook in PDF format so you can download it and save it to your phone/device or print it out. It doesn’t cover accommodation options as it’s a guide developed so you can use it when you are in Ubud, so it covers food, shops, culture, see + do, walks, day trips, and walking itineraries. It also has a few different maps pin pointing everything so it’s easy to use.